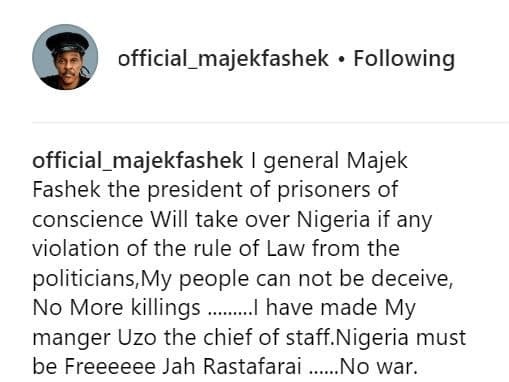 Legendary Nigerian musician, Majek Fashek has spoken up about the state of affairs of Nigeria especially with the tension surrounding the just concluded presidential election. According to him, ‘I got a revelation to return to Nigeria from America to prevent a war and thank God the election is over and there’s no war’. Video has removed from Instagram.